During my commute to and from work I meander past a number of restaurants and bars. However, there is always one that seems to catch my eye, and that is Thai restaurant Chaophraya. Nestled on the corner where Union Terrace and Union Street meet, the exquisite building stands out with its beautiful columns and overall size. Taking my sister out for her birthday, I decided to book us into the one restaurant she’d been dying to try out – after all, there’s only so many times you can pass a place before checking it out. Walking through the doors, the opulence and impact of the building and the restaurant’s interiors is immediate. 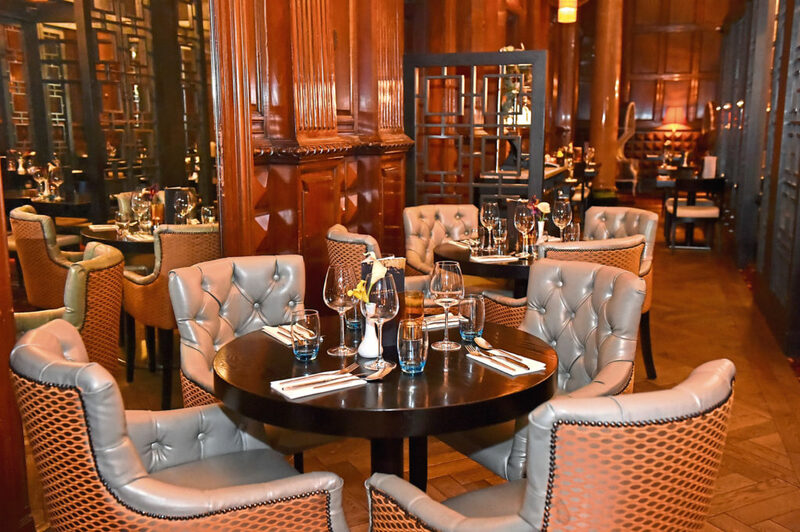 Formally The Monkey House, the building is architecturally stunning, but couple that with spectacular intricate interiors, grand statues and ornaments gracing the dining room, and you’ve got yourself one incredible looking restaurant. 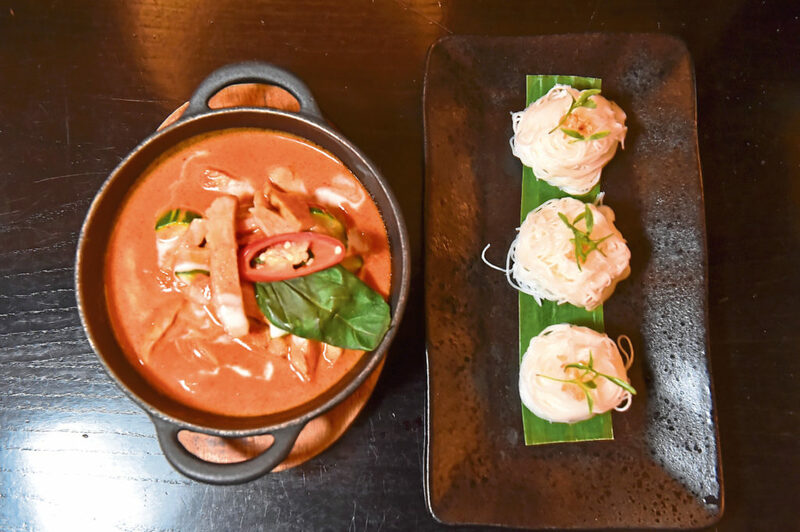 Chaophraya could clearly talk the talk when it came to how its interior and exterior was presented, but could it live up to expectations? We were about to find out. The look on my sister’s face as we took a seat told me everything. She was impressed and her eyes wandered the restaurant, taking in the gold statues, the oriental dividers, the sparkling gong at the top end of the room and the sunken group dining area which seemed to be in high demand. Handed a wooden menu, we unfolded it like a map, revealing more and more dishes as we did. Perusing drinks, it didn’t take too long for our server to return and take our order. I was hoping the kitchen could emulate the finesse of the dining room, but only time would tell. Ordering a starter each, we’d decided on sharing so we could each get a taste of both. 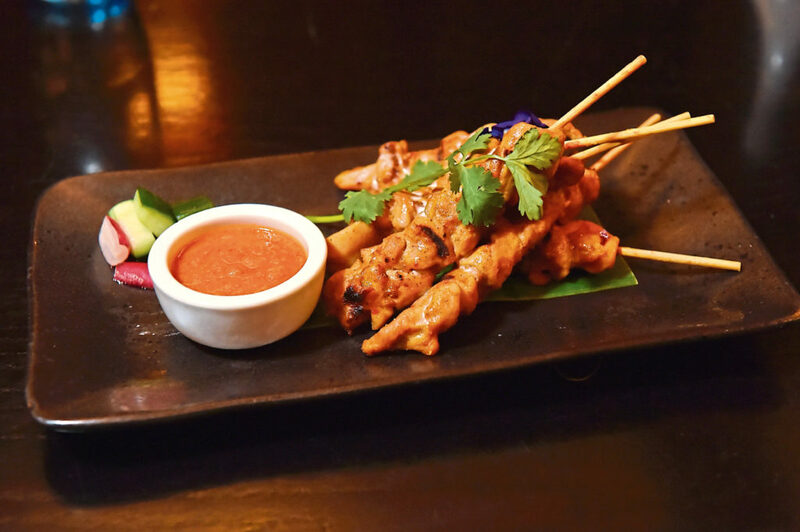 Chicken satay was a safe dish to order, but sometimes it’s the classics that taste the best – and that it did. Served on bamboo skewers, there were about five wands of chicken. Charcoal grilled, the chicken was tender and ripped easily off the skewer. Served with a peanut butter sauce, it had a beautiful crisp spiciness to it. If I’d had more sauce, I definitely would have drowned my chicken in it. A Thai sweet relish came with it which consisted of pickled vegetables including cucumber and radish – both of which were on the al dente side. The aroma of the pork spare ribs – or See Krong Moo Yang – hit the nose immediately. Sweet with a hint of spice, the pork ribs had been marinated in fresh Thai herbs and barbecue sauce. The sauce itself was tangy with a kick of chilli and there were so many ribs we couldn’t finish them. Meaty, the ribs were cooked to perfection and a highlight to the meal. A few slices of pineapple were placed alongside, adding a fruity sweetness. 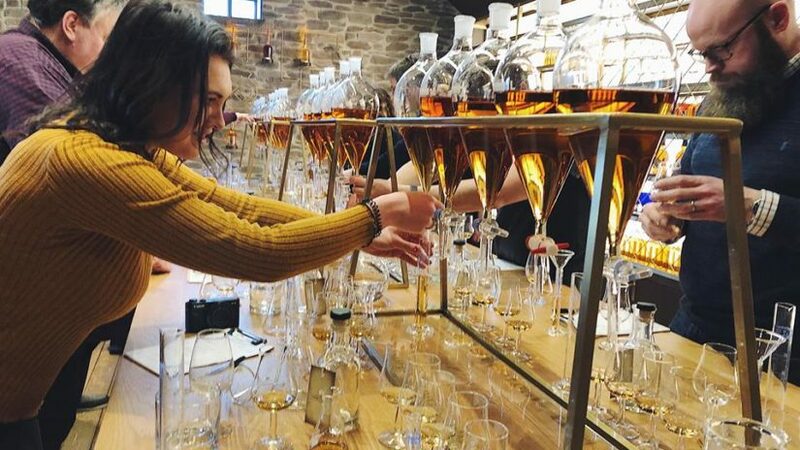 The restaurant had about 30 covers in it that night, and there were a few tables in for private dining – not to mention the groups of people congregating at the separate bar area, which was just as impressive as the main restaurant space. 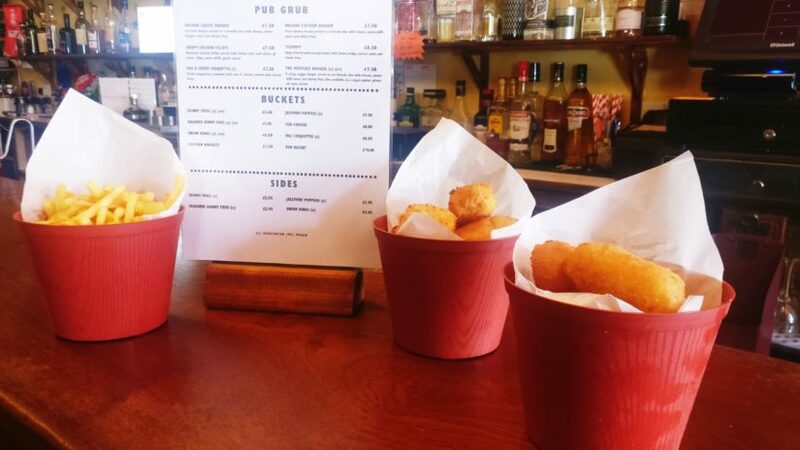 It took a little longer for our mains to arrive, but in no rush, we were quite satisfied with the break from our starters. 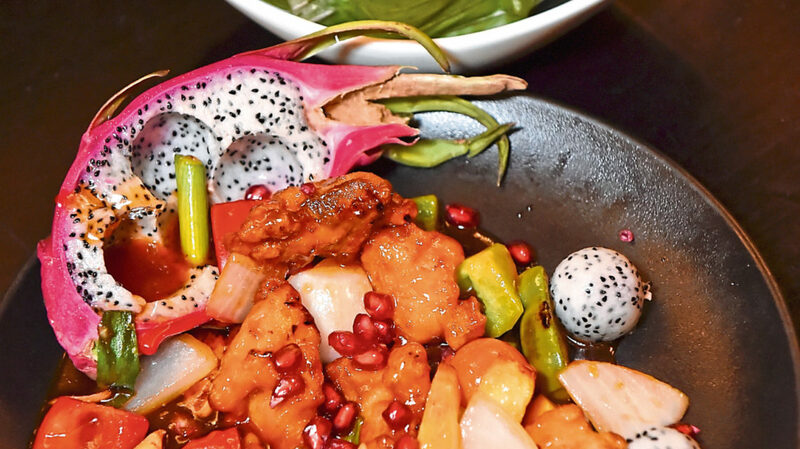 A sweet and sour fanatic, my sister ordered the twist on the classic dish which came served with dragon fruit. Having tried the exotic fruit previously, I was intrigued about how they’d marry it into the dish. When it arrived, the presentation of the food stood out from the rest. The crispy chicken, which had been stir-fried in sweet and sour sauce came topped with pomegranate, peppers, pineapple, tomatoes, and onion. The dragon fruit had been scooped from the skin and sat around the dish. The skin of the dragon fruit acted as a basket for the chicken, with the dish pouring out of it and spilling on to the plate. 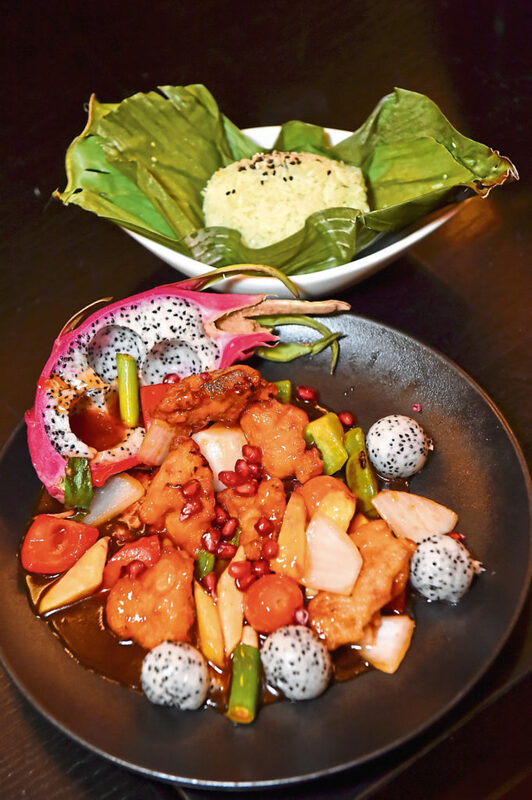 Chicken sweet and sour with dragon fruit, coconut rice. My sister adored her main and the succulent chicken made the taste explosion in her mouth even more euphoric. I on the other hand, I had decided to try out a spicier dish, the chicken red curry. Made from red chillies, the curry had been blended with coconut milk and boasted a number of basil leaves and bamboo shoots throughout, not to mention big slices of red chillis which continued to add to the spiciness of the dish. It was rather mild, but whenever I took a bite with the chilli in it, that’s when the real heat would hit me. Served in a clay cooking dish which sat upon a wooden board, the coconut rice we’d ordered as a side paired perfectly with it. Served in a banana leaf, we opened it up to reveal the sticky, moist rice with coconut sprinkled on top. We also ordered steamed noodles and realised this was a little too much for just two. I’d informed the restaurant when booking online we were celebrating my sister’s birthday. Unbeknown to us, the staff had prepared a dessert for her. They sang her Happy Birthday and presented her with a gooey slice of chocolate cake, which was very kind. 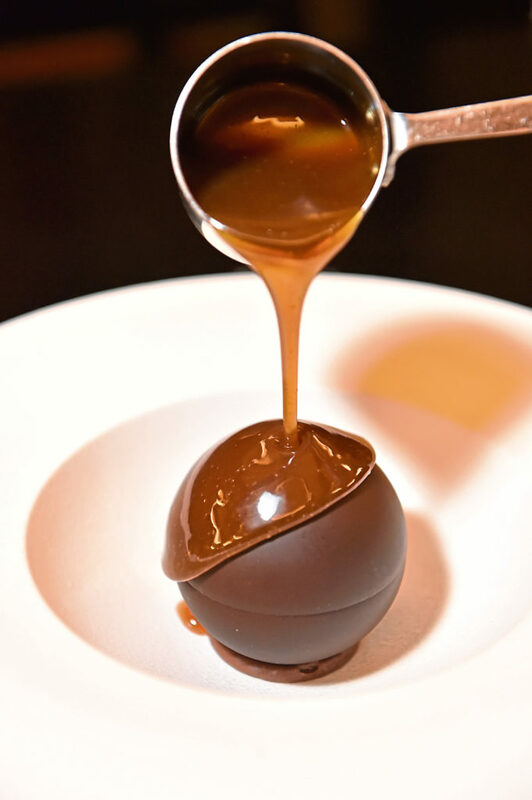 Not wanting to feel left out, I ordered a chocolate bomb – a sphere of milk chocolate which housed a peanut mousse, peanuts, toffee and chocolate. Our server then took a hot jug of salted caramel sauce and poured it over, melting the chocolate and leaving a pool of nutty, chocolatey goodness. It was incredible, although a struggle to eat. And just as Chao Phraya – Thailand’s major river and the meaning behind the restaurant name – flows through the country, we meandered back up the road, full to the brim and dreaming of Thailand’s warmer, more exotic lands. When it comes to good Thai restaurants in Aberdeen, it can be a little challenging to find somewhere that not only serves good food, but looks the part too. 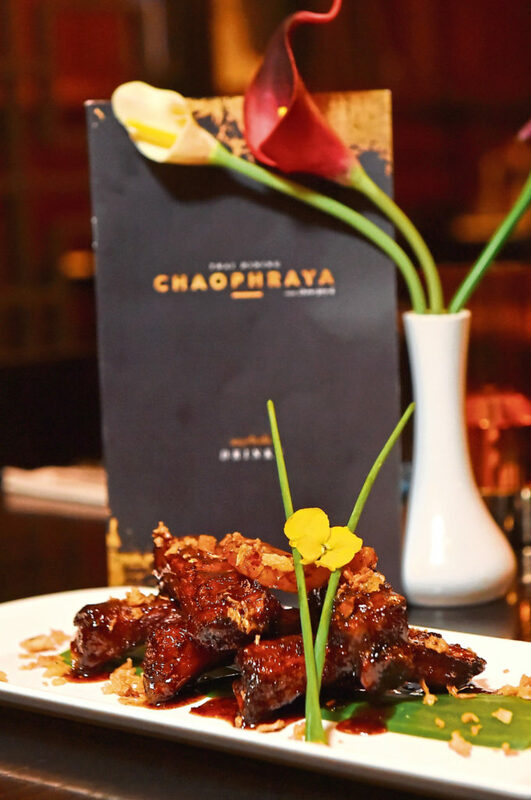 Chaophraya is an excellent choice for food, especially if you’re entertaining or looking to impress. 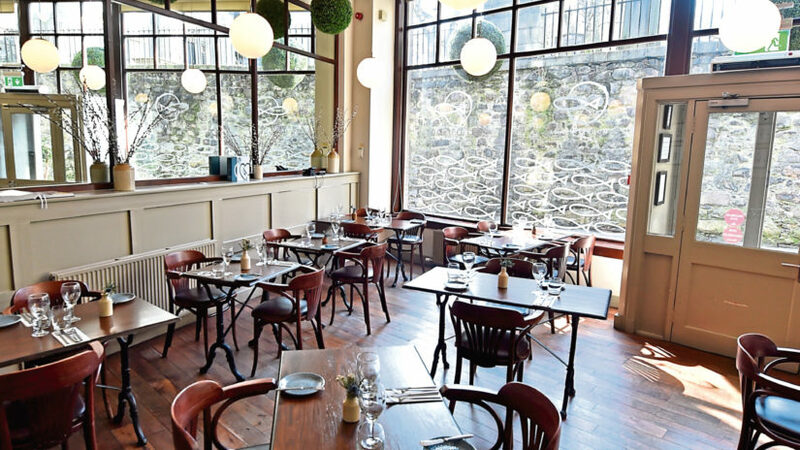 The service could have been a little warmer to complement the rest of the experience, but apart from that, this is definitely a wonderful restaurant to go and enjoy with loved ones or friends.